This unique Aloe Vera Memory Topper is designed to provide ideal support and minify tossing and turning. Made of high density Memory Foam, will add a new plush feeling at your mattress by spooning your body and cradle you to a sweet dream sleep. 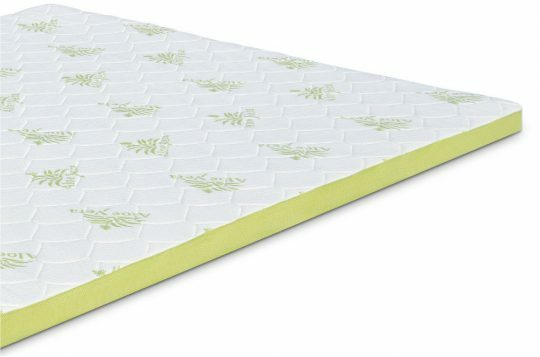 The Memory Topper enhances the comfort of any mattress by relieving pressure points which cause tossing and turning, and by dampening noise and motion transfer between partners. Removable cover made of Aloe Vera fibers to improve breathability and create a bacteria-free healthy environment.